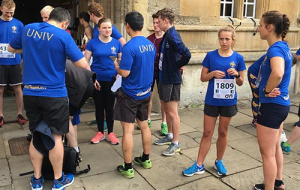 Building on the success of last year’s Oxford Town and Gown 10k, Univ will once again be entering a College team in this year’s event, which takes place on Sunday 12 May. 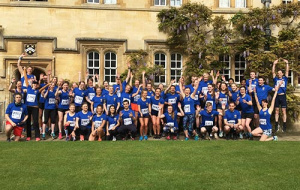 Last year a total of 67 students, staff, friends, and alumni ran, raising a total of £655 for Muscular Dystrophy UK – we would love to beat both totals this year. Read more about the 2018 Town and Gown on our News and Features pages. 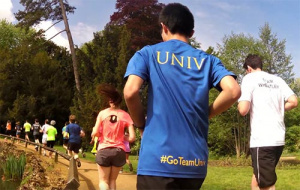 All members of the University College community are encouraged to put their running (or walking) shoes on and join Team Univ again for the 2019 race, which takes place on a flat and scenic route around the city centre and University Parks. The race usually attracts around 4,000 runners, and spectators can line the route to cheer runners on as it winds through the town. All runners (and non-runners) are welcome to join the team, from the eager athletes to those just beginning to build up their fitness. With three months to train, this really is an achievable distance, even for those new to running. Members of Team Univ, together with family and friends, will also be invited to have Brunch in College after the race. Make sure you select the “Join a Team” entry type on the first page – you can then select “University College” from the “Find your Team” drop-down menu. 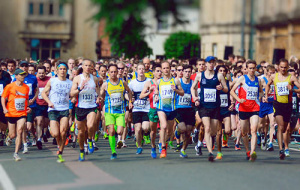 Once you have registered and paid the race entry fee, please let us know by completing this Google form – this will enable us to keep track of who is running, know which size T-shirt you need, and book you in for the all-important post-race brunch! The College will generously be providing Team Univ running shirts for those who enter the race (although we do ask that last year’s runners please wear their shirts from 2018). Everyone who finishes also gets an official Town & Gown medal in their goody bag. Unfortunately the entry fee no longer includes a free Town & Gown T-shirt, but these are available to purchase during the registration process. All participants are, of course, welcome to fundraise individually should they prefer.